Parliamentary Spokesman for Angling, Martin Salter MP has today written to Sport England Chief Executive Roger Draper pressing for a review of a funding decision that still sees Angling receiving less than sports like Lacrosse and Baseball. The funding is being increased by £ 50,000 a year over the next four years, from £ 135,000 to £ 185,000, making a total package of £ 740,000. This is less than half the £ 2.4m that was applied for in the Whole Sport Plan for Angling by the Joint Angling Governing Bodies. I am writing to complain at the poor settlement received by angling in the recent funding announcement when compared to other sports. I recognise that Sport England’s annual funding for angling has risen from £ 133,000 in 2003 to £ 135,000 in 2004 and now £ 185,000 for 2005 and the next 4 years. However, this is on par with minority sports like mountaineering and water-skiing and considerably less than lacrosse and baseball. I trust you are aware that in coarse angling alone the England teams have been World Champions no less than 15 times and that English anglers have won more than 50 individual gold medals between them. 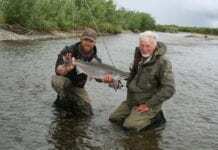 There have also been considerable English successes in competitive fly-fishing and sea angling. Although comparisons are not always appropriate I feel that I should point out that the modest involvement in angling by Sport England has helped produce a far greater proportion of medals and international success than the £ 2.6m per medal that was achieved in the 2004 Olympic Games by British teams. I know there have been some issues around the governance of angling but hopefully these have been addressed with the recent creation of the Fisheries and Angling Conservation Trust (FACT) which now brings together all the fishery and angling interests in England and Wales. The Joint Angling Governing Bodies who submitted the Whole Sport Plan for Angling (2005-09) were particularly disappointed with the funding announcement as they felt that their plan fully addressed the criteria laid down by Sport England and included a target of an extra 200,000 anglers over the next 4 years – an increase of 5%. Previous articleBarrie Rickards’ Angling – Cormorant Stew!